After a couple of years of declining sales, Chinese smartphone giant Xiaomi made an amazing recovery last year, thanks largely to its overwhelming success in India. The country was Xiaomi’s first port-of-call as it started expanding outside its homeland back in 2014, and although the company has since ventured into many international markets, India remains its largest market outside its homeland. After starting operations in many Asian and South American countries over the past few years, the company started selling its smartphones in Greece and Spain last November, making the sunny Mediterranean countries its first Western European markets. Now, the company seems all set to enter yet another Mediterranean nation if a recent post on the company’s official Facebook page is anything to go by. 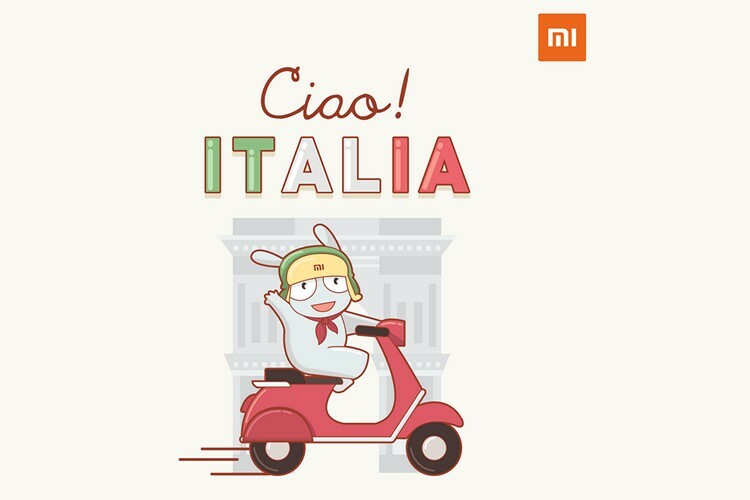 The image posted by the company to announce its entry into the Italian market reads “Ciao Italia!”, and features the Xiaomi bunny riding the iconic Vespa, immortalized by the 1953 Hollywood flick, Roman Holiday. With the Xiaomi IPO said to be in the pipelines for later in the year, the company is already rumored to be valued in excess of $100 billion, and if its European sojourn is half as successful as its campaign in India, that valuation won’t look nearly as bloated as some people seem to believe at this stage.